Hey guys! I've got another MILV water decal set to show you this week! I was so impressed with the first one that I could hardly wait to use a new set, they are so much fun! And you guys seemed to be impressed with he first one as well, so I hope you like this one too! The water decal I am using this time is number N215. It shows different coloured roses in a bed of green leaves. At first I thought this image was completely opaque. So I painted my nails a matching green to make the decal blend in as much as possible around the edges. Well, this decal is not opaque, the white flowers are transparent... So when I applied a decal to the green I couldn't see most of the image, oops... So back to a white base I went. And it was only after all this that I found out that it actually says on the packaging of some of the decals when they are suitable for a white base only! Doh! But as you can see, at least I'm getting better at cutting out the decals to fit my nails. There is still a bit of white around the edges (macro images are unforgiving, it's much less visible in real life! ), but I am not too bothered by it, as the flowers are white now too. I also found out that if you cut the decal too big, it is easily corrected with a clean-up brush, as the decals melt when they come in contact with remover. Good to know! As with the first set, I reaaaaaly love how this looks! I hope you guys like it too and see you next week! If you are interested in these decals, check out Hypnoticpolish! Flawless application, too, btw, hun! This is so beautiful! I love the idea of this as well. Thanks for the reminder to read all the instructions (which *ahem* I hardly ever do). 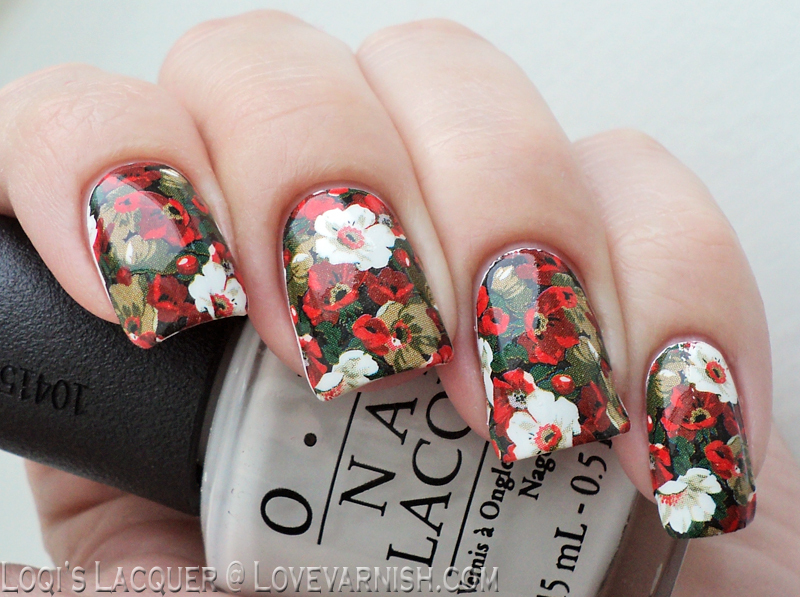 These look like an easy option for nail art and turned out so nicely. Love this pattern so much! I'm interested in trying these out now! 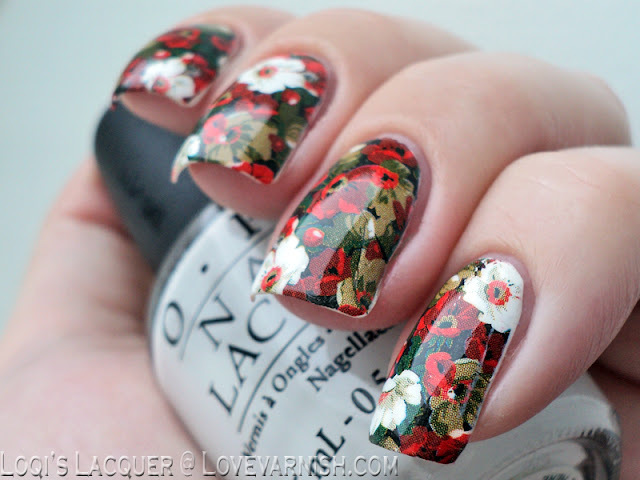 Wow, these are beautiful!! I love this pattern!! You're making me want to invest in a lot of decals! So pretty! Aww, such pretty and feminine design and you really applied it perfectly imo. You did a great job with these, it's so hard to fit full-nail decals to your nails. Love the pattern of these! Oh these decals are gorgeous!! I can never resist a pretty floral design. I've been using these MILV decals too and I love them so much! These ones are super pretty again! But I must say I still prefer the first set you showed us! :D I'm glad you like them that much! Hahah yeah... my 'white base only' warning was in Russian though! 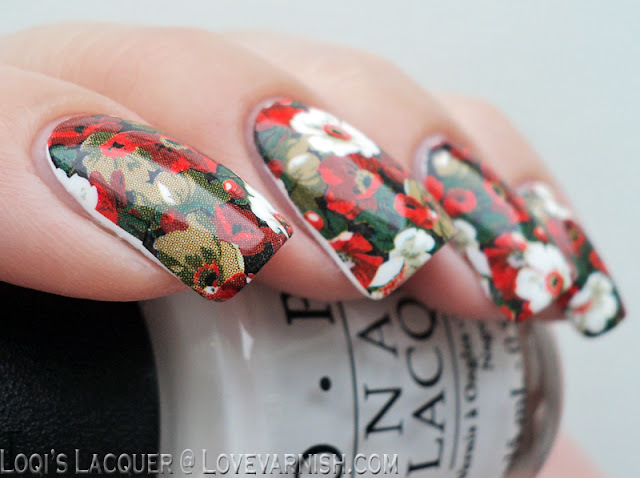 I saw on the Hypnotic polish webshop that some designs had it in English though, so that tipped me off! These are really pretty! 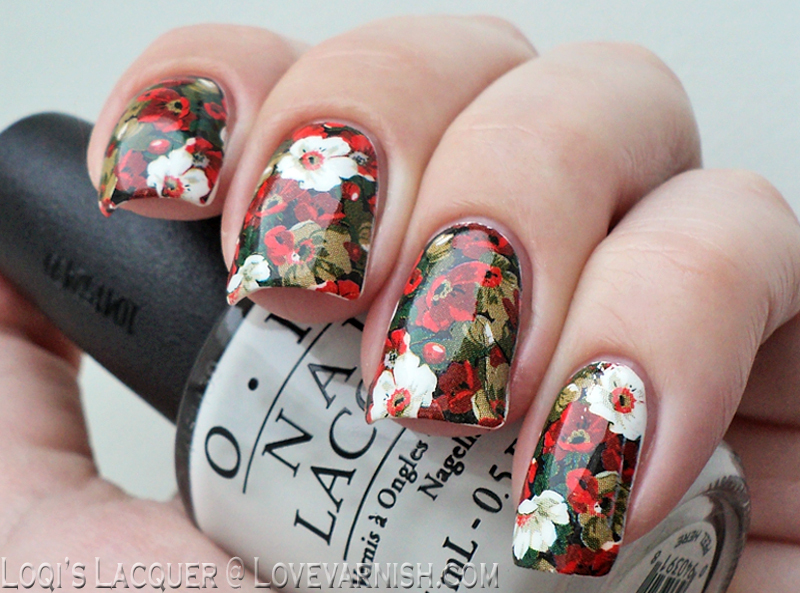 I love floral manicures so I will probably be picking up a set for myself.